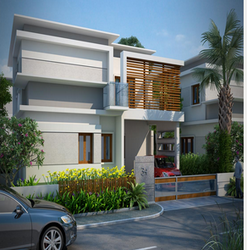 Type 2 & 3 BHK Luxury ApartmentsLocation Mangalagiri, VijayawadaA glorious moment has arrived in Telugu history now. Amaravati city is rising again after two millennia as a global city to herald a new era in business, industry, education and metro living standards. The Luxury Apartments at Indu Fortune Fields are designed to give the ultimate in comfort. The typical sizes of the apartments are higher than the regular homes giving you that extra living space. This apart, all apartments at Indu Fortune Fields fully conform to Vaastu.